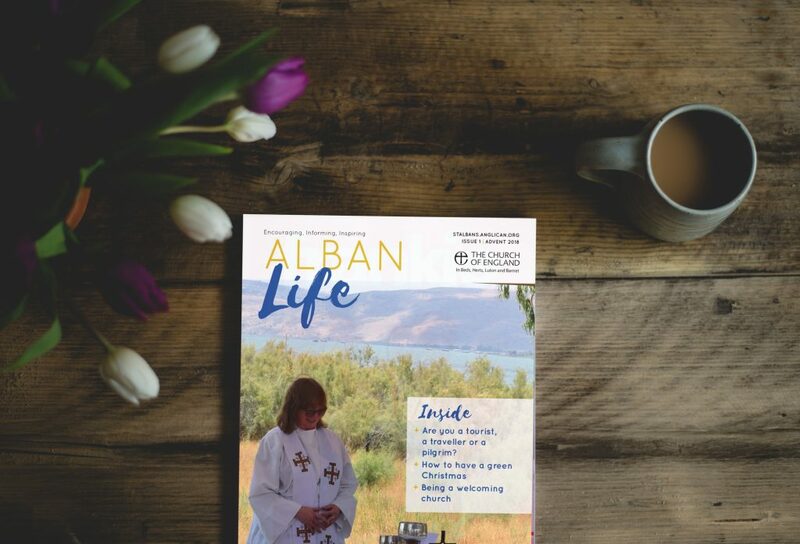 Named after our founding saint, St Alban, Alban Life is a new quarterly printed magazine for the people of St Albans Diocese. To be published at Advent, Lent, Pentecost and Harvest, each edition will give you 28 pages of encouraging, informing and inspiring stories about current issues and themes relevant to the life of people and churches in St Albans Diocese. We will be distributing the first few copies of Alban Life to you free of charge so you can get to know us. Look out for issue 1 in churches for the start of Advent. We hope you will enjoy issue 1 which will ask if you are a tourist a traveller or a pilgrim when you go on holiday; how you can have a green Christmas, what makes a welcoming church and more! Producing a quarterly printed magazine will also enable us to produce a more frequent electronic bulletin and this will now appear straight to your inbox every two weeks. If you know anyone who might like to receive it, they can sign up here. We will still include parish events in the electronic bulletin which like all our web pages, will be printable and so still available for use on church noticeboards or for people to take at the back of church, if desired.